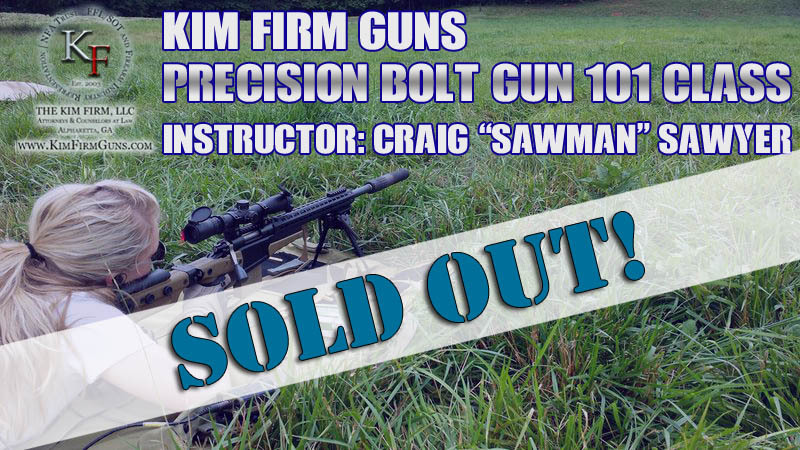 The Kim Firm Guns Precision Bolt Gun 101 Class to be taught by former DEVGRU SEAL and SEAL Sniper Instructor Craig “Sawman” Sawyer is at full capacity. If you are joining us this Thursday, please be on the lookout for further instructions via email. If you wanted to join us but could not, don’t fret, we’re planning more courses in the future. Please send us a note with your contact information so you can be the first to know when more classes are available… like our Carbine Course in March! This entry was posted in Uncategorized on February 24, 2015 by rmuramaru. Serve as a primer and prerequisite for advanced long range precision shooting courses. Students will meet on Thursday morning at the Kim Firm Office in Alpharetta and convoy to the long-distance range in Hoschton, GA at 9:30AM. We should be back in Alpharetta by 6:00PM. This class will be taught by Craig “Sawman” Sawyer, a former DEVGRU SEAL and SEAL Sniper Instructor. For more information about the instructor, please visit Tactical Insider at www.tacticalinsider.com/bio.html. The cost of this class is $550. As with most Kim Firm Gun’s offerings, the class size will be small and slots are extremely limited. As of Feb 21, we currently have two slots remaining. Please contact us immediately so we can reserve your slot and arrange course payment. Please feel free to contact us if you have any questions or concerns, we look forward to seeing you on the 26th! Update: Kim Firm Guns will be hosting a Carbine Course in March 2015, please send us a note if you are interested in attending, details to be posted in future. This entry was posted in Uncategorized on February 21, 2015 by rmuramaru. 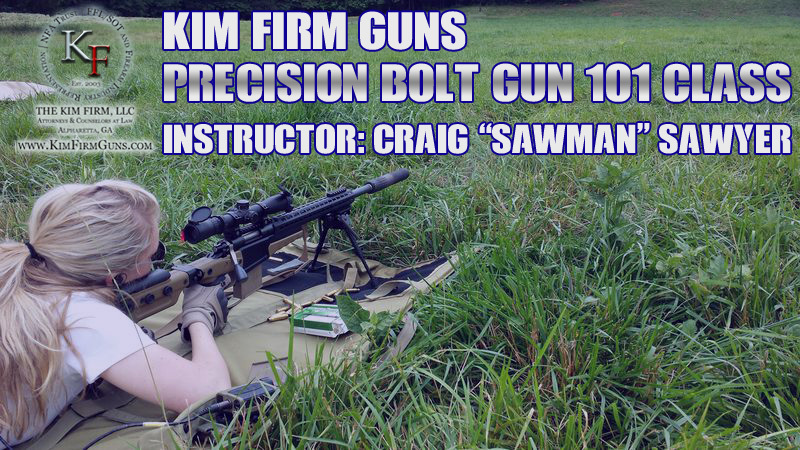 Silencer Shop Recommends Kim Firm Guns! Jin H. Kim, Esq. from Kim Firm Guns is proud to become a “Recommended Lawyer” by Silencer Shop for NFA Gun Trusts in Georgia! Silencer Shop recognizes the emphasis the Kim Firm Guns places on Second Amendment rights, private firearm ownership, and the local firearm community. As stated by Silencer Shop law firms cannot pay to be placed on their list, so we can only be humbled and thankful by our client’s positive reviews. We will strive to continue to provide our superior client services and look forward to working with this respected company into the future! This entry was posted in Uncategorized on February 18, 2015 by rmuramaru.